'Sapporo, White' artist book (4 copies only) produced for the travelling exhibition, 'Open Book', curated by Shelley Jacobson. Design by Lizzie Parker, text and images by Tim J. Veling. Internals Indigo printed by Printers Inc., Christchurch, on Mohawk Navajo Smooth. Cover stock Moab Entrada Rag, inkjet printed with hand painted fluro-orange details. Bound by Wyrcan Book Art Studio, Christchurch. 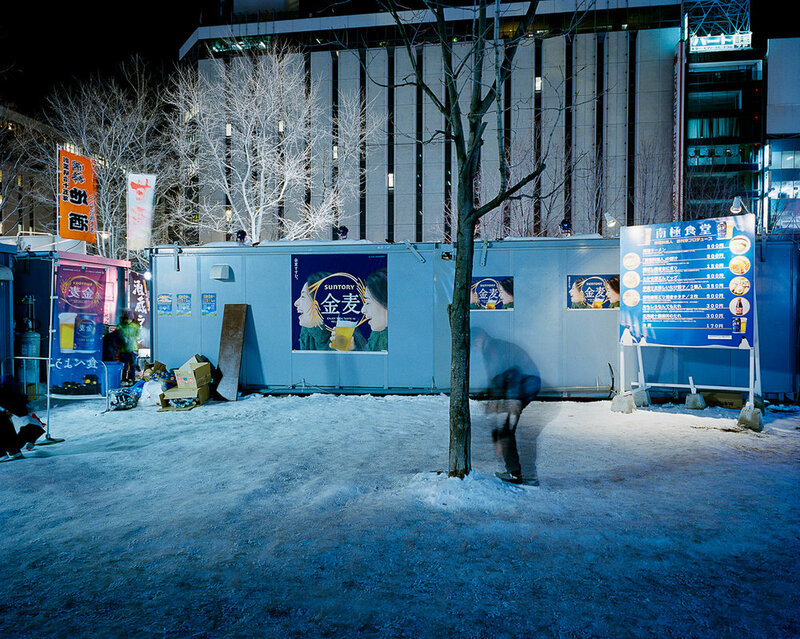 Before arriving in Sapporo in January 2012, I had never visited Japan. Prior to leaving my home of Christchurch, New Zealand I did what most people now do before traveling to a foreign location. I wandered Sapporo city's streets using Google Street View. I wanted to get an idea of what I would see and experience when I finally got there. What I saw was a beautiful, green city in what looked like the height of summer. 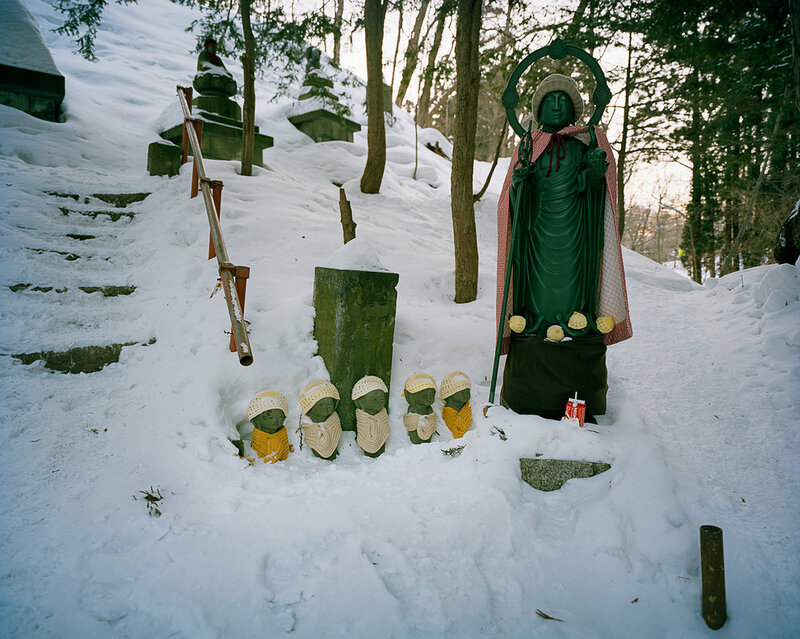 In those digital wanderings there was no hint at how dramatically Sapporo's urban environment changes during the months of winter. Walking outside of New Chitose airport on arrival, I had never before seen such a thick blanket of snow and ice. During my stay, I was most interested in investigating and making work about how a city adapts to such an extreme change in weather and environment. I was particularly interested in how snow changes the way people relate to, utilize and pass through built spaces. I also found it intriguing how snow and ice accrue the physical marks of time. To explain, when autumn turns to winter and snow starts to fall it seems romantic and beautiful. But very quickly snow becomes a burden on city infrastructure, contaminated through atmospheric pollution and eventually icy and dangerous to negotiate. When the novelty wears off, excitement turns to frustration and summer cannot come quick enough. Sapporo, White forms my impression of Sapporo city's winter landscape. In most places in the world, such conditions would force the closure of business and public facilities. 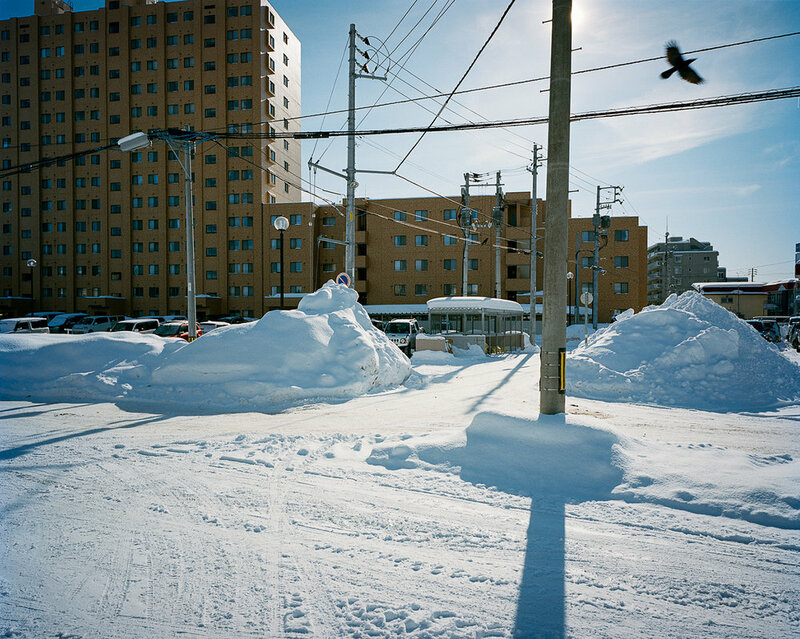 In Sapporo, despite the problems it presents, life must go on. This body of work was completed while undertaking an artist residency hosted by NPO S-AIR (Sapporo, Japan) in collaboration with Asia New Zealand Foundation.